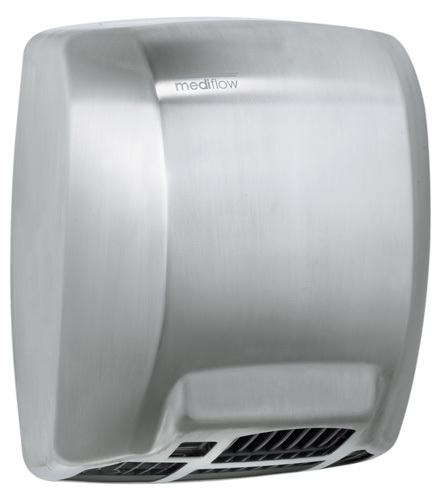 This hand dryer is an icon of reliability, embodying over 25 years of design refinement. It is a modern classic, built tough to cope with any situation. 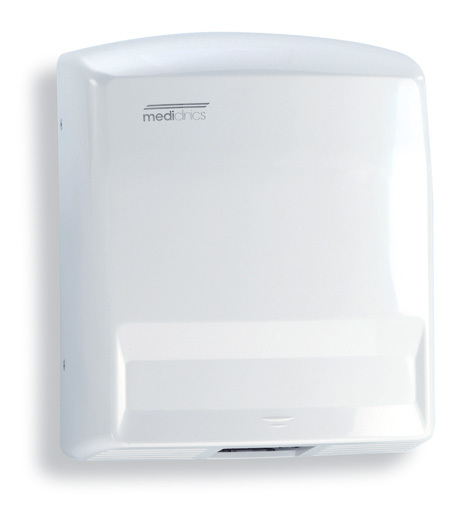 Traditional warm air hand dryer for high and low traffic. 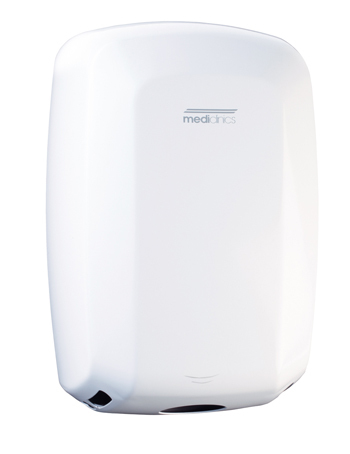 Manufactured in Europe, warranty 3 yrs labour – 7 yrs parts. 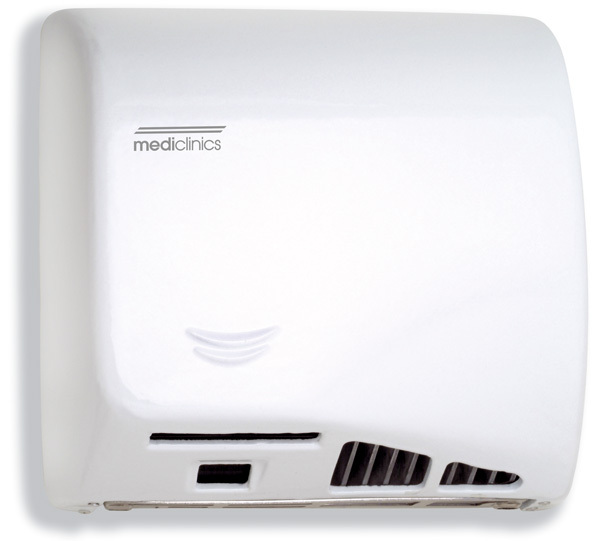 Ever popular rotating nozzle to direct airflow. 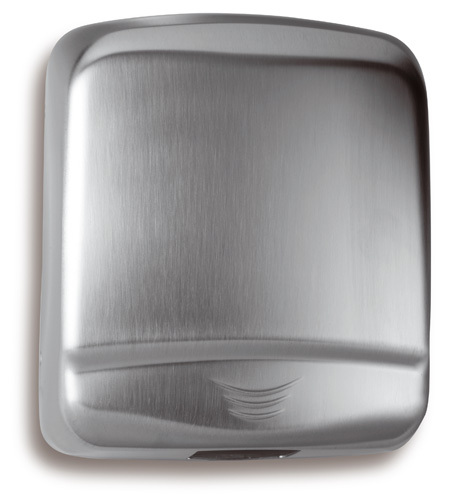 Years of design improvement delivers an icon of reliability. Footprint is the same as most other traditional models. Value for money model that never goes out of favour. High traffic settings e.g., Sports stadiums, schools, petrol stations, public washrooms, hotels, airports, clubs, offices, cinemas, etc. 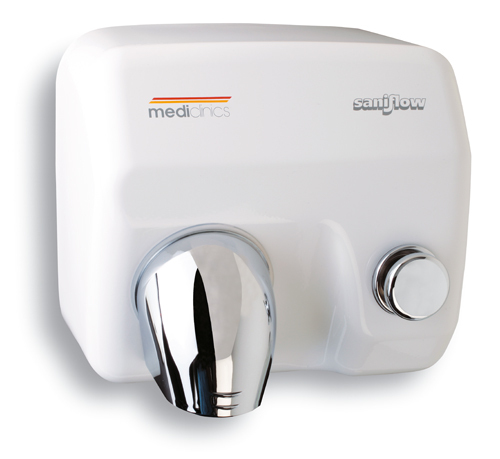 All Mediclinics Saniflow models use the same components, the differences being casing material, finish and the manual push-button option.